A meaningful product consists of meaningful ideas that work in the real world. SA loudspeakers are based on a number of ideas that are as simple as they are long-life. We call it system design. The alphabet is the first system design that was invented. The system consists of letters that can be combined into words and sentences. The sentences become stories that connect people and make sense. SA has, with respect, borrowed the idea from the alphabet to create loudspeakers where the same ideas are part of all products, but in different designs. The sound is the most essential thing for a loudspeaker. However, a loudspeaker is against the natural laws in a way like no of the other appliances in a hi-fi system. In an amplifier, a DVD, or a CD the signal is electrical. Electrons are extremely fast and precise. In the loudspeaker, the sound is created by membranes that are moving and that weigh much more than electrons. The loudspeaker is the slowest appliance of the system. It is quite vital to work with the speed of loudspeakers when creating better sound. You can hear that a loudspeaker is slow if the bass is boomy and if it sounds as if the bass guitar has only one string. In a slow loudspeaker it is difficult to follow the rhythm in the music, and the voices do not sound clear and natural. It is difficult to keep the attention to the sound. The membranes in a SA loudspeaker weigh one quarter of a normal piece of paper – or less. A normal loudspeaker membrane weighs at least twice as much. Lightweight membranes react very fast and reveals myriads of sound details, for which a big membrane is simply too heavy. This gives a more live experience. But how do you get bass out of a small membrane? The ability of reproducing bass is about the ability to move air. A loudspeaker membrane does not have to be big. A small membrane can move just as much air as a big membrane – it just has to move longer, but in return it will do it more precisely because it is lighter. The speed and precision mean that the bass reproduction becomes more dynamic and it is easier to follow the rhythm in the music. And easy to keep the attention to the sound. SA loudspeakers use drive units with natural membrane materials like e.g. paper, wood fibres, or textile. Hundreds of listening tests have taught us that these materials give the best sound. This also shows that even the technological fashion requires that loudspeaker membranes should be made from exotic materials, SA chooses to go for the sound. A loudspeaker is a “mechanical appliance” that converts an electrical signal into vibrations in the air. Vibrations of just a few tenths of a millimetre mean loss of vital information. Therefore it is vital to ensure mechanical stability. Information that disappears can never be brought back. Complexity stands in the way of the message – also in loudspeakers. Different drive units and many components cannot create living sound, because the sound quality decreases each time; it has to pass extra components. Seen on the outside, complexity can seem fascinating, but it seldom serves a purpose. SA loudspeakers are simple seen from a technological point of view, which, in fact, has been complicated to achieve. Read more under ”information” in the article ”New technology that benefits the sound”. Simplicity is achieved through attention to details. We may not introduce new SA loudspeakers every year. It takes time to create a new SA. Many details might not be visible, but they can be heard. Putting the entire small differences together and we achieve great progress. Integration is about the loudspeakers ability to function in the real world. Drive units with small membranes have a better sound dispersion than big membranes. That is pure physics. 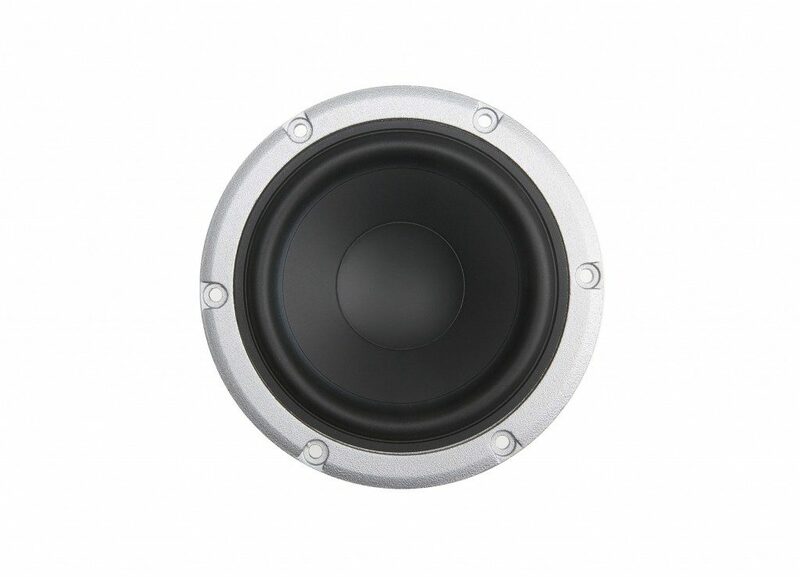 Therefore a loudspeaker with small membranes will be better at filling the room with sound and you do not need to sit right in front of the speakers in order to enjoy the sound. Several System Audio loudspeakers have even taken one step further. 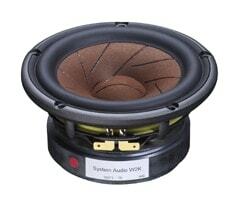 MTM means that the tweeter is placed between two (or four) woofers. This sophisticated acoustic principle makes it easier to integrate the loudspeaker in the acoustics of the living room. In most living rooms the ceiling and the floor are completely even surfaces that give many reflections of the sound. This makes the sound imprecise. MTM reduces the loudspeaker’s radiation of the sound towards the ceiling and floor and improves the sound. Normally, loudspeakers should not be placed close to the walls of a room, because this will lead to some unfavourable acoustic interference. It creates a sharp contrast to the fact that most loudspeakers are, in fact, placed exactly there. SA has turned the unfavourable acoustics near the walls to its benefit and prepared the loudspeakers to be placed near the walls. But what about integration to the other appliances of the system? The co-operation between the amplifier of the system and the loudspeakers is vital to obtain good sound. A SA speaker is a so-called ”easy load” to the amplifier of the system, which, in practice, means that SA can be used with any quality system. The expression ”easy load” means that the impedance of the loudspeaker is even and that the phase of the loudspeaker has fewer variations than normal. It improves the sound of the amplifier remarkably if the loudspeakers are easy to drive. A great deal of SA’s loudspeakers is magnetically shielded which makes them easier to integrate in the arrangement of the living room. The shielding makes it possible to place the loudspeaker close to a TV or a computer. Loudspeakers without shielding will discolour the picture on the screen if they are placed to close to it. With shielded loudspeakers you do not risk to erase your videotapes or credit cards if you place them on top of the loudspeakers. A compact loudspeaker can be freely placed anywhere. SA has made it easy to use this freedom because all our compact loudspeakers are prepared for application of wall brackets, ceiling brackets or floor stands. When you get more than you expected. When a product is able to surprise over and over again. SA loudspeakers are mounted at workstations where each employee is responsible for the production of the loudspeaker from beginning to end. I.e. that each employee mounts, tests, and packs each loudspeaker. Finally, he signs that the loudspeakers live up to our standards. During the assembling process each loudspeaker has past at least 14 quality tests. SA loudspeakers are mounted at workstations where each employee is responsible for the production of the loudspeaker from beginning to end. I.e. that each employee mounts, tests, and packs each loudspeaker. Finally, he signs that the loudspeakers live up to our standards. 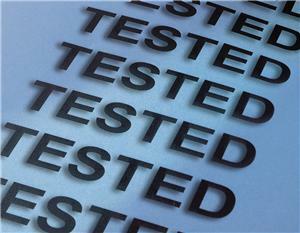 During the assembling processeach loudspeaker has past at least 14 quality tests.